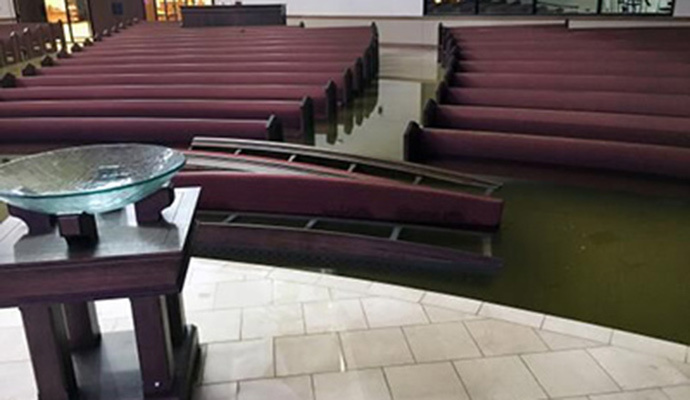 This TAC Church faced one obstacle after another. 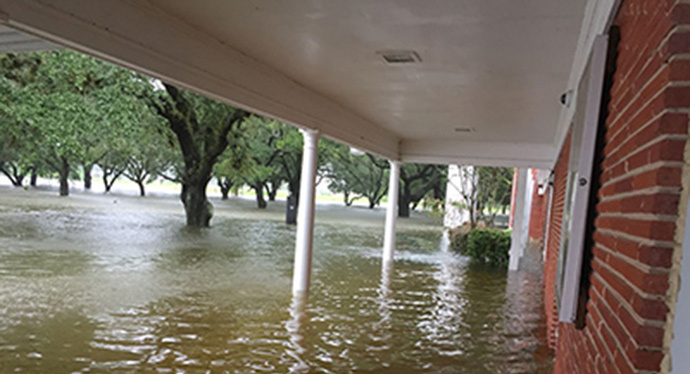 Hurricane Harvey flooding, financial challenges and so much more. But even with all of these trials, the church was able to rebuild and double attendance. Call it another test of faith; the God who is the God of storms is also the God of rebuilding. And both are trials, in their own ways. “When Hurricane Harvey came through, it flooded everything,” says the Rev. Phil Chamberlin of Temple UMC, Port Arthur. 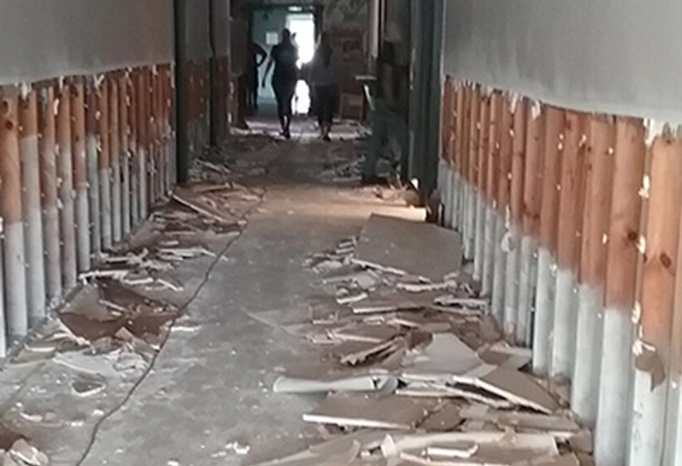 “From the first weeks after the hurricane, in August 2017 through the next April, most of the buildings only had half-walls.” To prevent further damage from mold, the sheetrock and insulation had been flooded by more than a foot of water were ripped out. The once-inviting church was gutted and grim. The day school successfully reopened in December of 2017, and on its first day back, it had a full roster—the community hadn’t abandoned the school. But rebuilding the remainder of the church was an even bigger job. The design and bid process took several months, and hammers weren’t swinging until June 2018. In the meantime, the church was worshiping in the gym. Missing that date, he explained, “would be a momentum killer.” Temple UMC families had stayed with the church through the hard months following the storm, but would they stay if it seemed the church would never get rebuilt? “That’s why it was important,” Chamberlin said. “Even if it’s a year and a day, missing that milestone would be a disappointment. They secured the $1.2 million financing through a combination of the church’s reserves, donations, insurance and assistance from the Texas Methodist Foundation. To ensure its contractors would meet the deadline, Chamberlin explained, church officials reversed-engineered the process. Most building projects include weekly walk-throughs to gauge progress and to keep on schedule. At the Temple, it was a daily process. It was a long and arduous process, but in the end, the church held its first service in the newly rebuilt sanctuary on Aug. 26, 2018. “We upgraded everything—new lighting, concert lighting, a new stage and expanded media capability,” said Chamberlin. “And on that first Sunday in the new sanctuary, I preached on Nehemiah—rebuilding the walls. We rebuilt them.” In the next few months, more projects would be completed—a refurbished foyer with a coffee bar, a bookstore and a hospitality room for guests.